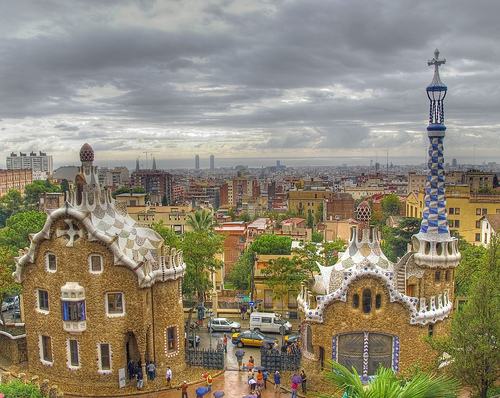 The iconic architecture of Antoni Gaudi looms large on the skyline of Barcelona. 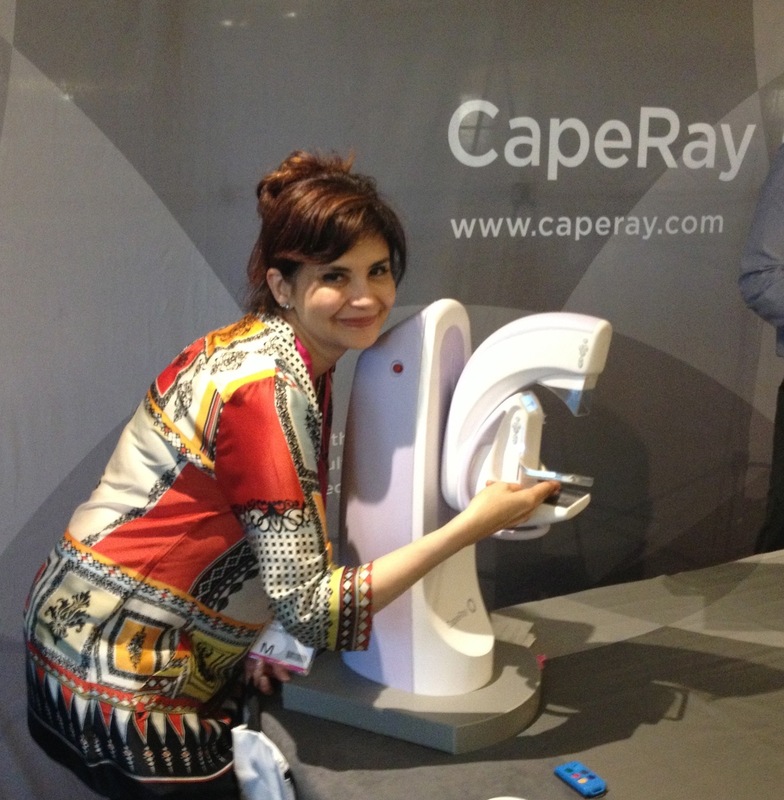 In March 2011 CapeRay made its exhibiting debut at the European Society of Breast Imaging (Eusobi) meeting in Vienna where we received welcome coverage from the AuntMinnie newsletter. This year Eusobi has moved to the historic Catalan city of Barcelona where CapeRay is again an exhibitor. Not only is this an ideal time for us to speak to over 500 potential customers about our PantoScanner platform, it is also an opportunity to learn from the world’s leading experts who are presenting the facts, figures and future perspectives on breast imaging. Anne Tardivon of the Institut Curie in Paris presented a paper entitled “Contrast enhanced mammography: more insights in breast lesions?” She and her colleagues assessed the diagnostic accuracy of dual energy contrast-enhanced digital mammography (CEDM) as an adjunct to standard mammography. Images were acquired at low and high energy 2 and 4 minutes after the injection of an iodinated contrast agent. Their initial clinical results demonstrated that CEDM had superior diagnostic accuracy compared to mammography alone, and was also better than mammography plus ultrasound. A delegate admires our one-third scale model of the PantoScanner. For the past few years Willi Kalender of the Institute for Medical Physics at the University of Erlangen has been running a European Union funded project to develop a breast computer tomography (CT) system. Such a concept is not new but what is novel about Kalender’s approach is that he has a three-dimensional spatial resolution of 100 microns, good enough to detect micro-calcifications, and a dose of just 3 mGy that is within acceptable limits. He obviously believes in the product and has established a new company called CT Imaging to pursue commercialization. A paper authored by Mats Danielsson of the Royal Institute of Technology in Stockholm explored the exciting opportunities for spectral imaging to measure breast density and to characterize cysts. Photon counting sensors, developed by Danielsson when he established Sectra twelve years ago, have the ability to acquire spectral images and are a standard feature of the microdose mammography system now marketed by Philips. Another topic that garnered considerable attention was digital breast tomosynthesis (DBT) where one of the interesting developments was presented by Hologic’s Andy Smith who showed that DBT can be used to produce synthesized 2D images that are diagnostically equivalent to standard mammograms. When Eusobi reconvenes in Rome in 2013 CapeRay will be ready to demonstrate the benefits of its dual-modality system: X-rays combined with automated ultrasound. Which one is the model?